A slew of some of this year’s biggest musicians are set to perform on one stage. 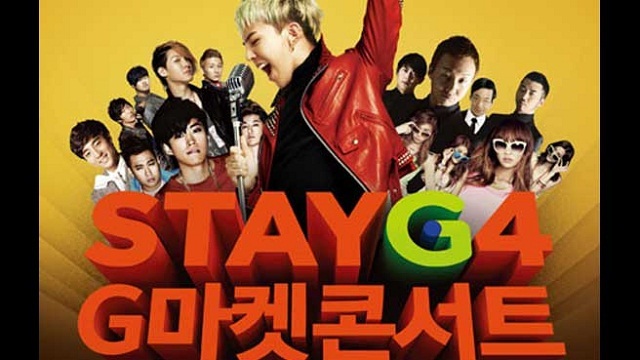 GMarket will be hosting the STAYG4 concert on December 12 at Korea University. Artists set to perform that night include G-Dragon, Roy Kim, DickPunks, No Brain, Epik High and SISTAR. The concert is in its second year-running and is hosted by GMarket to show its appreciation to its loyal customers. Customers can apply to try and win tickets through the GMarket homepage from now through December 4 by searching, “Stage” on the website.